Country Summary: The United States and Guatemala have been partners under the Hague Abduction Convention since 2008. In 2016, Guatemala demonstrated a pattern of noncompliance. Specifically, the Guatemalan Central Authority and law enforcement authorities persistently failed to implement and abide by the provisions of the Hague Abduction Convention. The Guatemalan Central Authority has not sent Hague applications to the courts in a timely manner, and has provided some inaccurate updates to the U.S. Central Authority. These failures have resulted in serious delays in the processing of cases. 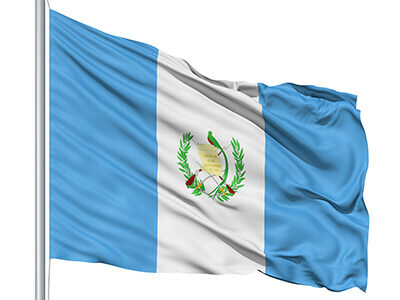 Guatemala has been cited as non-compliant since 2011. Central Authority: The Guatemalan Central Authority demonstrated a pattern of noncompliance with the Convention due to poor handling of cases and a lack of effective communication with the U.S. Central Authority regarding the resolution of cases. These failures have resulted in serious delays in the processing of cases. Location: Guatemala demonstrated a pattern of noncompliance with the Convention evidenced by failure of the competent authorities to take appropriate steps to help locate a child after a Convention application was filed. The average time to locate a child was 18 months and 21 days. Judicial Authorities: The United States is not aware of any abduction cases brought before the Guatemalan judiciary in 2016. Enforcement: The United States is not aware of any abduction cases in which a judicial order relating to international parental child abduction needed to be enforced by the Guatemalan authorities. Access: In 2016, the U.S. Central Authority had one open access case under the Convention in Guatemala. This case was opened in 2016. By December 31, 2016, this case (100 percent) was resolved. Department Recommendations: The Department will intensify engagement with the Guatemalan authorities to address significant issues of concern and expand public diplomacy activities related to the resolution of cases. The Department will also encourage training with judicial and administrative authorities on the effective handling of international parental child abduction cases. The Department also recommends an emphasis on preventing abductions.